A GlobaScope Product designed in USA for the world. The home of the most versatile and unique writing tool ever! Oh Yes! We are changing the way you write with a pen. Handwriting difficulties can be caused by arthritis of hand joints, injury to the index finger, genetic, Dysgraphia or Agraphia. Agraphia is an acquired neurological disorder causing a loss in the ability to communicate through writing, either due to some form of motor dysfunction or an inability to spell. Dysgraphia is a condition that causes trouble with written expression. For many children with dysgraphia, just holding a pencil and organizing letters on a line is difficult their handwriting tends to be messy. 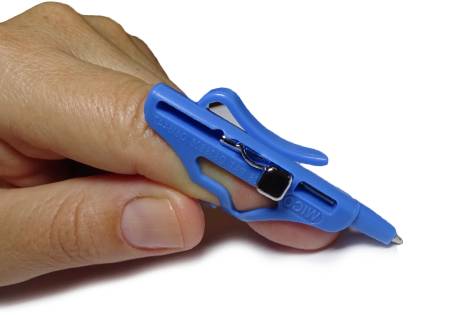 Indexpen is easier to use for people with arthritis, carpal tunnel syndrome and other hand problems. The swelling, stiffness and joint pain associated with arthritis can make writing stressful and difficult. Osteoarthritis and Rheumatoid arthritis are the two main types of arthritis that affect the hand and finger joints. 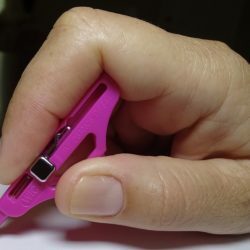 A comfortable pen can make writing much easier. An ergonomic pen that is designed for arthritis sufferers can help decrease pain from arthritis when writing. Hands and wrists are put through the wringer each day, making them prone to injury. 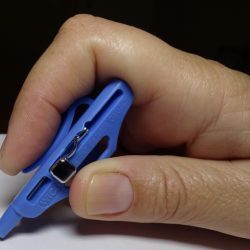 Here is a tip for optimal pen holding; Use Indexpen and adopt one-finger writing. 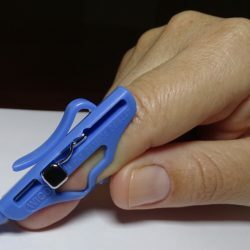 Hi I got my Index pen it is excellent I have a spinal cord injury so I am limited use of my fingers. I think it's pretty amazing. You don't have to push or tap hard like you do with the Pogo Sketch. 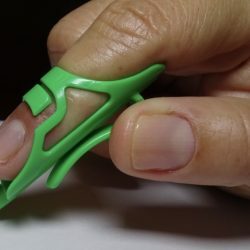 This seems to be the in between using your finger and a pen but not quite like either one. I recommend getting this just to add to your variety of tools to use. Nothing else out there is like this one. The pen is great!!!! Can't wait to show it off!! !